The owners of this property were incorrectly told the garage would need to be demolished. Hopefully this blog will reduce some of the scaremongering we’ve come across when dealing with oil spills in a domestic setting, in particular with spills occurring in close proximity to the property’s garage. Over the past few years, upon attending various properties to assess the spill we’ve been astonished to be told by homeowners, that they’ve been informed by some builders, plumbers, heating engineers, etc that the only way to deal with the loss of oil is to knock the garage down, remove the contamination and then rebuild! Understandably the homeowners and tenants are incredibly worried about the impending cost and disruption this would cause, which is entirely unnecessary. Of the dozens of spills we’ve attended, many of which are near a garage or even inside the garage, we have never ever proposed demolishing the garage. There are many options at our disposal for dealing with a loss of oil and would be happy to discuss them with you, if the need ever arises. While the clean up after the Christmas flooding is well under way and home-owners are looking to get back into their homes as soon as possible, it’s worth bringing to attention of folks living in a rural setting who use an oil fired heating system, to check their systems for damage or leaks whenever its practical to do so. Seek the advice of a qualified heating engineer. Odours trapped internally in the fabric of the building once flood waters recede. 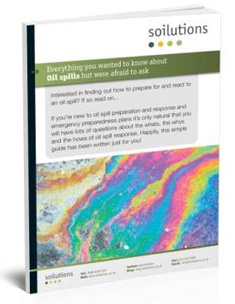 An online guide answering various questions relating to Oil spill clean-up. Feel free to get in touch with any questions you may have. Contact us on 0800 0209 307 or e-mail us on info@soilutions.co.uk.